Available in a variety of interior colors, this ceramic Hilo mug features a unique shape and is the perfect product to customize for your next promotional event. 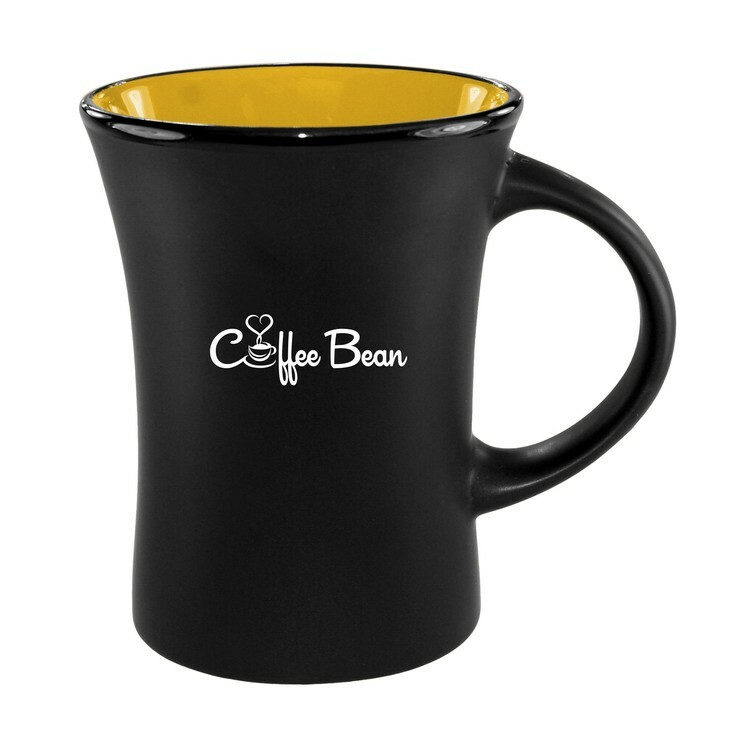 Holding 10 oz., this mug has virtually unlimited imprinting and styling options to choose from so you can create a product that is truly unique and tailored to your specifications. Mugs are an ideal promotional item for hospitals, schools and corporations alike. Packaging / Weight: 36 Pk / 33 lbs. *Extra charge for a 2nd side imprint.